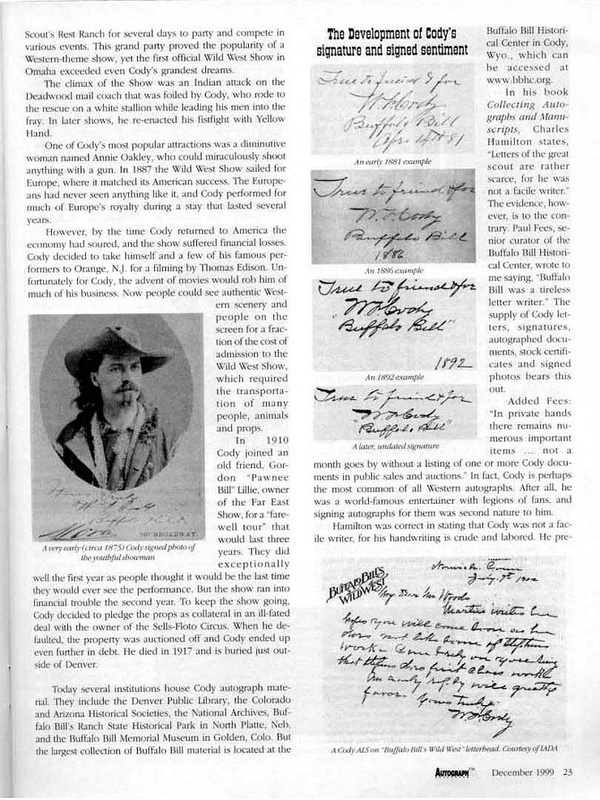 Here is an outstanding article that contains information on Buffalo Bill Cody's handwriting and signature. 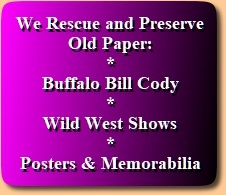 Author Stuart Lutz is a noted expert and dealer in historic documents. 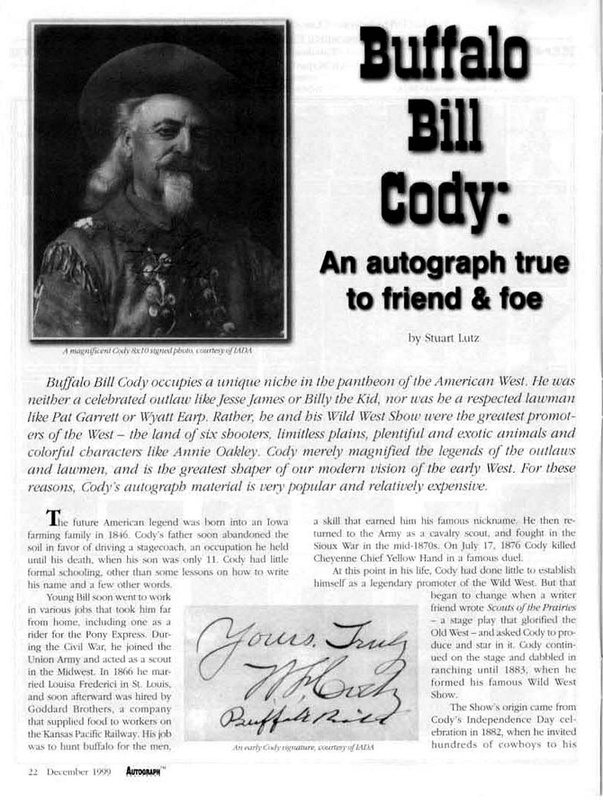 The article originally appeared as "Buffalo Bill Cody: An Autograph True to Friend and Foe," in Autograph Collector, December, 1999. 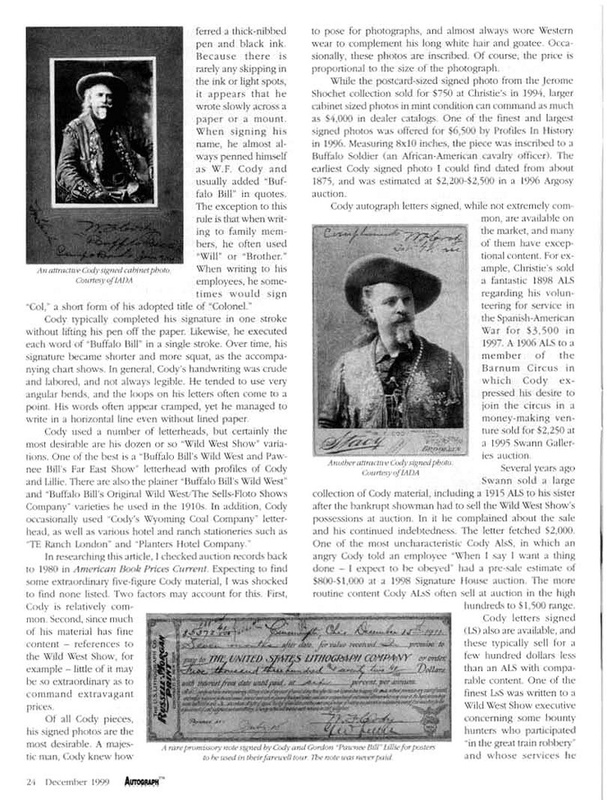 Mr. Lutz graduated from Johns Hopkins University in 1992 with a degree in American History and has been widely published in history periodicals. He is the author of The Last Leaf: Final Witnesses to History (Cardoza, 2005), which includes a reminiscence of Houdini's last employee. 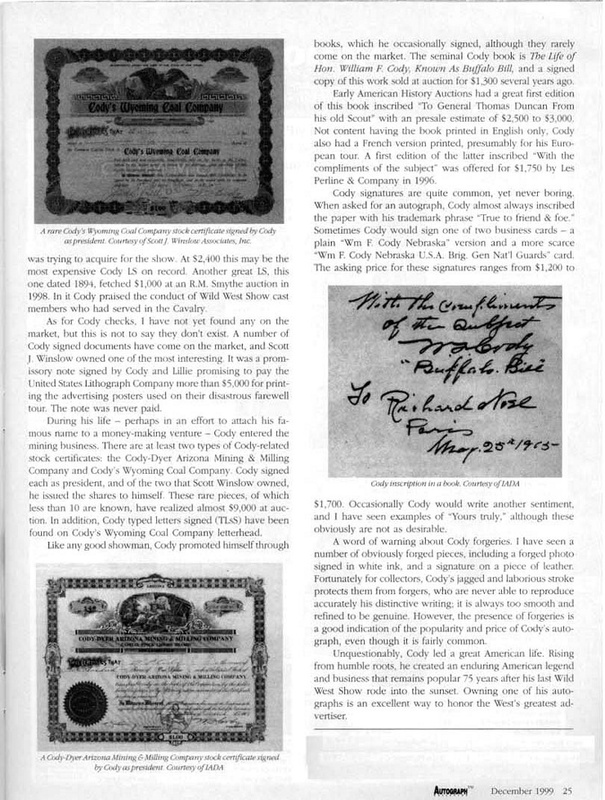 This article is reprinted here at The House of Deception with the author's kind permission.